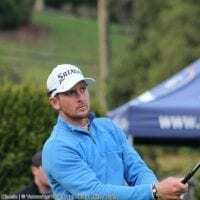 With a week off on the PGA TOUR CANADA schedule, Mission’s Kevin Stinson took full advantage of the opportunity to stay sharp at the 2013 GOLDEN EARS OPEN, carding stellar rounds of 66, 65 for a 4-shot victory over fellow PTC member Ryan Williams. 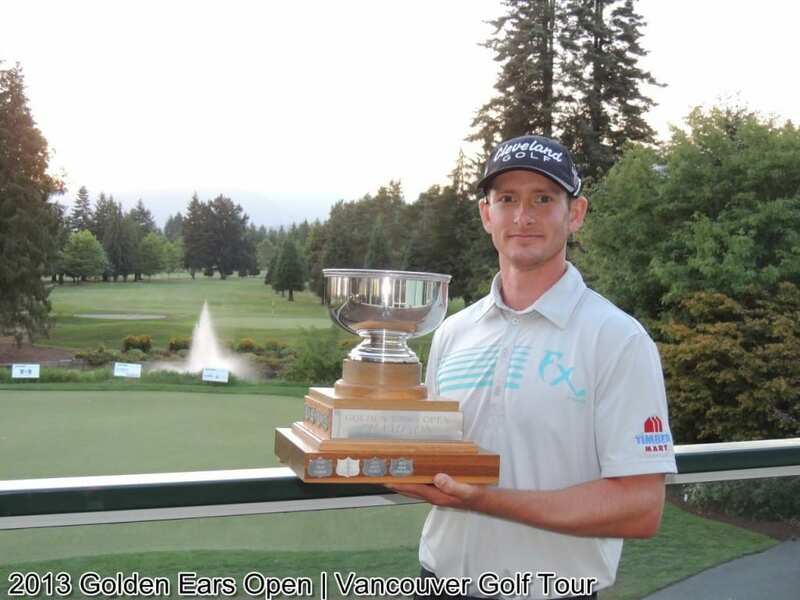 Stinson pocketed $2,200 for his first Golden Ears Open Win and 5th Professional victory since turning Pro in 2010. “It was great to have a tournament to play in our off week and was a good tune-up for our event in Calgary next week” stated Stinson. “I’ve worked really hard on my short game and putting through the winter with guidance from the Saunders-Rodgers Golf Academy. I’m happy to get a nice result after feeling close for a couple of months and hope to keep it going all the way up to Q-School this fall”. Stinson’s game has been improving each year on the VGT and on the PGA TOUR CANADA since he earned his card in 2011. 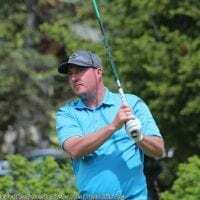 His most recent top finish came at the Syncrude Boreal Open in Fort McMurray where he cared a final round of 65 to leap into a tie for 25th place. With his win Stinson shoots himself into the top 5 of the VGT Order of Merit sponsored by CLEVELAND GOLF / SRIXON CANADA. 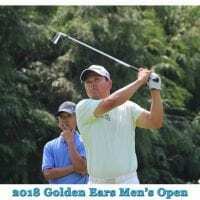 Kevin has been close to breaking through on the VGT and PGA TOUR Canada the past couple of years. He has shown some signs of great potential with some of his wins on the VGT. 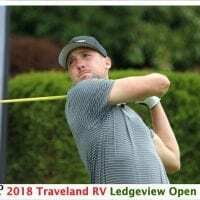 He had a great start this spring winning our opening event (BRAD GARSIDE OPEN) and then placing 5th in our first MAJOR SERIES event at Sandpiper. 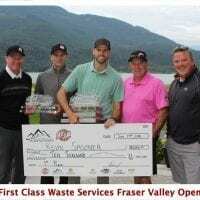 It seemed like he has been very close with his game and I’m really glad to see it all come together for him at this year’s Golden Ears Open” stated VGT Commissioner Fraser Mulholland. “He is a truly first class individual and we wish him all the success the rest of his PGA TOUR CANADA schedule that starts back up on Aug.5th at the Calgary Classic”. In the Amateur competition at this year’s Golden Ear’s Open, there was a great battle between Vancouver Golf Club’s Jarad Boddy and Richmond Country Club’s Riley Lamb. Both players started the final round at 5-under par after excellent rounds of 67 on day one. Boddy was the first to jump into action, birdying 4 of the first 6 holes, getting himself to 9-under par and a tie for the overall lead with Stinson. But bogeys on 7 and 8 put him back to 7-under for the event. With Stinson putting the pedal down making the turn at -11, it appeared Boddy and Lamb would now ultimately be in a 2-man battle to see who would take home Low Amateur honors. The difference ultimately came with Boddy’s exceptional start, carding a 34 on the front 9 and giving himself a 3-shot cushion with only 9 to play against Lamb. Although Lamb did make a valiant charge on the back nine, it was just too little too late, and Boddy would be crowned the outright Amateur Champion by 2 shots at 6-under par. He would win a set of Callaway X-Hot Irons for his Amateur Title! In the overall Low Net side of the tournament, it was VGT and SPGA member Raymond Kapoor who took down the title after a 3-hole playoff with Pitt Meadows member Terry Oiom. Both players finished the tournament at 137 net (-7) for the event. Kapoor took home a set of Taylor Made Rocket Balls Irons for his victory! SECOND $5,000 HOLE-IN-ONE PAYOUT IN 2 WEEKS BY JM INSURANCE!! Congratulations to VGT Amateur member KEVIN GRIFFIN on his ‘PERFECTLY STRUCK 7-IRON’ on the 13th hole on day one……Thanks to DAVE EBNER of JOHNSTON MEIER INSURANCE, Kevin won himself a sweet $5,000 CHEQUE for his HOLE-IN-ONE! That’s the 2nd $5,000 PRIZE won on the VGT in less than 2 weeks, as the last one came at the HADASSAH WIZO CHARITY PRO-AM at Richmond Country Club on July 15th by RCC member Paul Diamond! 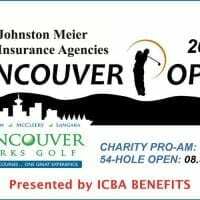 THANKS SO MUCH DAVE & JOHNSTON MEIER INSURANCE for all your continued support in the BC Golf Community! VGT would like to recognize some very special people involved in the execution of the 2013 GOLDEN EARS MEN’S OPEN. First off, a huge special thanks must go out to Tournament Chair Frank Hoadley and the 40+ Pitt Meadows members who volunteered their time to make the 2013 GOLDEN EARS OPEN a huge success once again!! I would like to pay tribute to the tireless efforts of our VGT Team members who put in extraordinary long days over the weekend (1/2 days right guys?). VGT would not be able to shine as it does with our LIVE SCORING without your continued dedication to the task. Thanks so much “A TEAM”!! HEAD PROFESSIONAL: Neil Roberts & Pro-shop Staff. Exceptional service once again guys! Tons of work for everyone in the shop. Great to work with you all! HEAD SUPERINTENDANT: Dave Zeiler & grounds crew. The condition of the Pitt Meadows Golf Club shined beautifully once again thanks to the tireless efforts of you and your dedicated staff. Job very well done sir!! GENERAL MANAGER: Michael Pierce & Clubhouse staff. Great pleasure to work with all of your staff on all levels of the event the registration process to prize ceremonies. HEAD CHEF: Richard Morrant. Beautiful breakfast, lunch and dinner presentations for all competitors to enjoy all weekend! times/prize results on the PMGG website and for linking to our Live Scoring for the event!! Our gratitude goes out to Pitt Meadow’s Golf Club members for believing in the GOLDEN EARS OPEN for over 45 years! Your continued support of the golf community by hosting this event is truly making a difference to the lives of many golfers (amateur and Professional). You should be very proud of the event being looked upon as one of BC’s Premier 36-Hole Golf Tournaments, showcasing one of the Lower Mainland’s top Private golf courses! 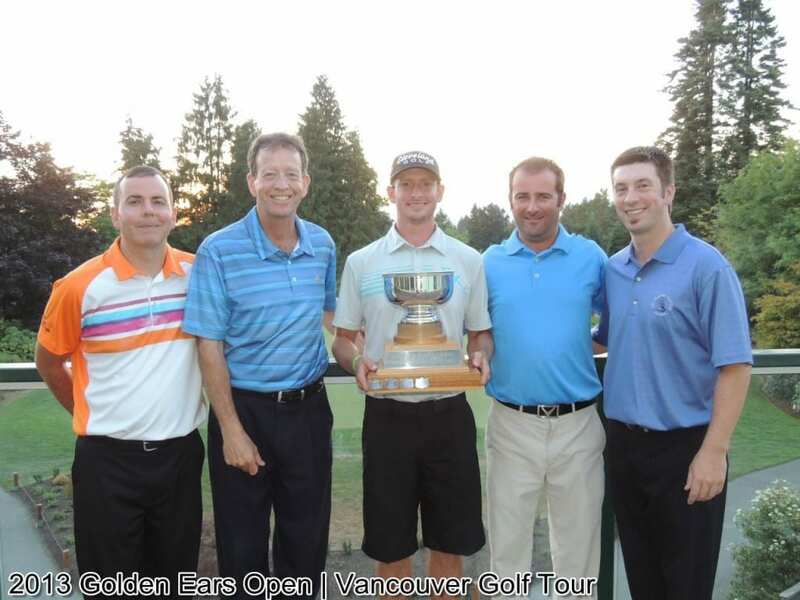 VGT was very proud to be a part of the GOLDEN EARS MEN’S OPEN for the 6th straight year. We have seen so many great changes to the club in these 6 years and look forward to being a part of the event in 2014 where the players will be privy to one of BC’s premier golf courses AND practice facilities. The practice center improvements look like they are going to be amazing! You will have one of the very few practice grounds where players can learn the game of golf off grass tees and have some real-life targets to simulate REAL GOLF while practicing! Being their 50th Anniversary, Pitt Meadows is offering a limited # of memberships at 1963 MEMBERSHIP PRICING!! This is really hard to beat! !